Volvo introduced its first V40 in the year 1995. 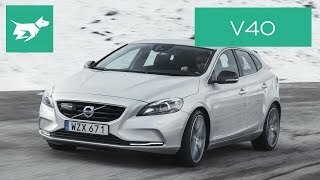 However the lineup with S40 soon retired and came in the rebadged V50 in the year 2012. 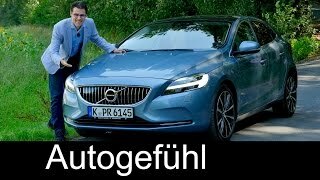 Finally now at the 2016 Geneva Motor Show, company took the curtains off its all new Volvo V40 2017, after it got reintroduced in the year 2011. 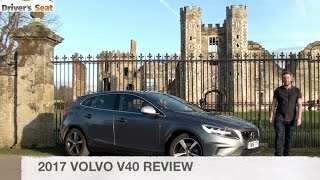 Let us have a look at the review of Volvo V40 2017 to know in detail about it. The interior of Volvo V40 2017 gets new looks and tech features. Starting with the looks, the model now comes with City Weave upholstery and a new charcoal/blond steering wheel, just like the one we recently noticed in the V40 Cross Country 2017. The panel inlays and door inserts too resemble to the concept however as an addition, it receives a Volvo logo with the key fob. Getting to the tech upgrades, it has Volvo On Call smartphone app. With Apple Watch and Android Wear the model this time gets an addition of Microsoft Band 2 connectivity also, thus allowing buyers to access voice commands through Apple, Android and Windows smartphones. Thus rounding up the interior details of Volvo V40 2017 I will call it a lap ahead of what we had till date from the house of Volvo. 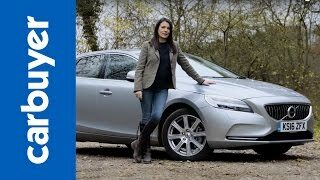 The exterior of Volvo V40 2017 brings major upgrades with its front section. You can notice a new grille featuring 21 thin vertical bars sitting amidst the ‘Hammer’ shaped LED headlights. With this the model might recall you the S90 while the ‘Iron Mark’ emblem adds a distinct identity to the entire front face. Dipped in five new exterior colors the model rolls over eight new wheel designs. The rear end is almost the same as the one we saw in passing models. The C-Shaped taillights and the embarked ‘Volvo’ over the black outlined rear mirror make the model look both sportive and elegant. 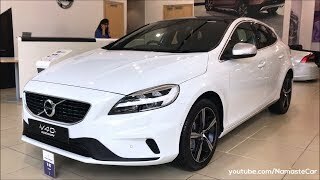 Thus rounding up the exterior details of Volvo V40 2017 I would say, though upgrades are primarily confined to the front face, but it still embarks a new glory. Beneath the hood of Volvo V40 2017 sits the same drivetrain options. Thus the buyers will get two petrol and two diesel engine options. A T2 engine cranking 120 hp and a T3 with 150 hp in petrol engine options while the D2 and D3 generating 118 hp and 148 hp respectively. All four engines will mate to either six-speed manual or a six-speed automatic transmission. The performance figures of Volvo V40 2017 are still not revealed, we expect them to be out in coming months.